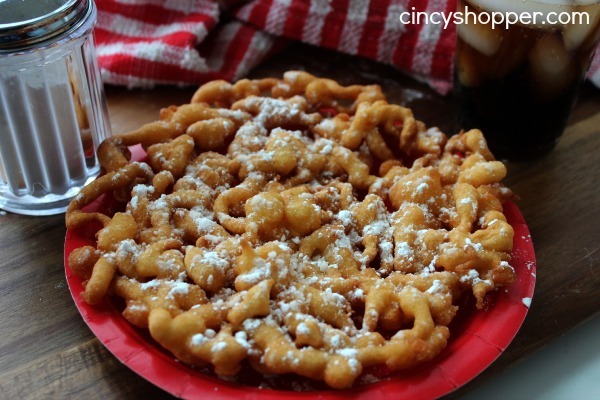 It’s Fair Food at Home Week and this Funnel Cake Recipe is going to save you $$’s at all those fairs this summer. I am getting super excited for all of the festivals to start here in Cincy. Each year the whole summer is filled with festivals each and every weekend. The best thing about fairs and festivals is the food, especially Funnel Cake. I LOVE enjoying all the foods that we can enjoy when the fairs and festivals are in full swing. This year I have decided to share some of my favorite fair food recipes with all of you. 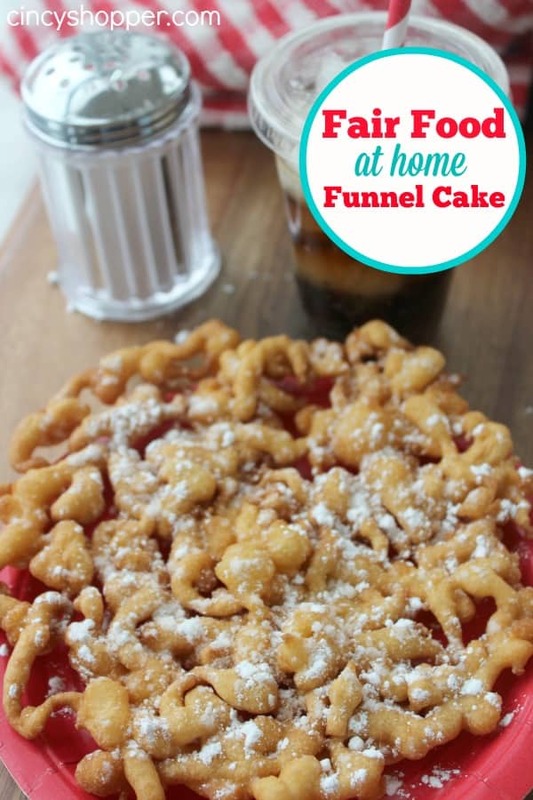 My kiddos are HUGE Funnel Cake Fans and this recipe has been great this winter to enjoy Fair Food when it was not available. I am looking forward to it saving me big $$’s this summer too! Fair food has gotten so crazy expensive. Funnel Cake is through the roof. It’s crazy how expensive funnel cake is. 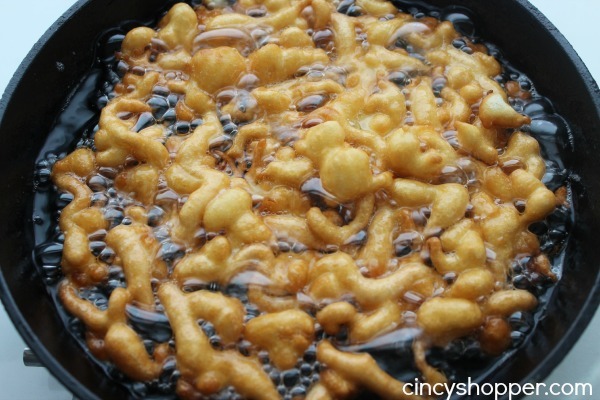 Did you know you can easily make Funnel Cake at home for really cheap? 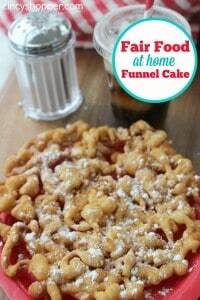 Funnel Cake is so quick and cheap to make at home. CRAZY Cheap ha ha! Just heat some oil and whip up this quick Funnel Cake Batter to enjoy yourself some Funnel Cake at Home. From time to time I would purchase funnel cake in the frozen foods area at GFS. The cost around $1 each when you break down the price per box. Cheaper than fair foods but still crazy expensive for a snack. 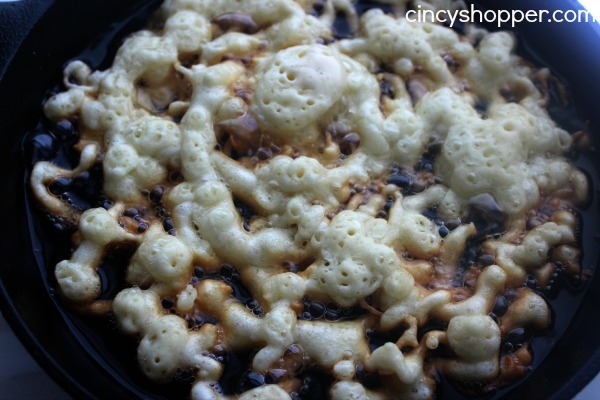 So this Funnel Cake Recipe is going to save us quite a bit this summer. 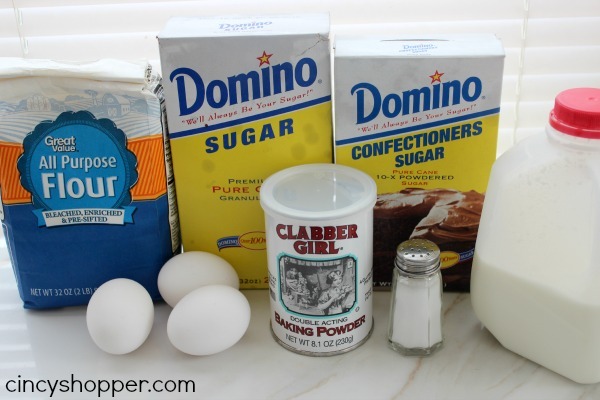 Be sure to drop back by CincyShopper every day this week for a new and fun Fair Food Recipe.